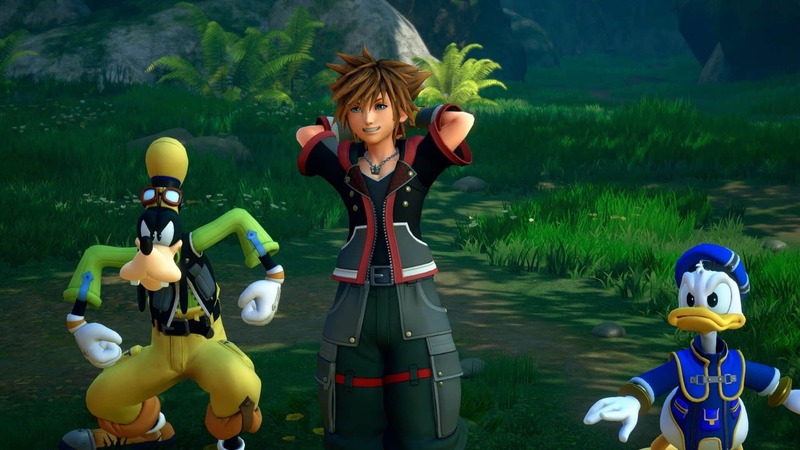 There is no denying that Kingdom Hearts is the most ambitious crossover project in recent memory. For seventeen years, players have entered the worlds of Kingdom Hearts and visited iconic locations within the Disney universe. Kingdom Hearts III takes that premise to a whole new level with the addition of recent Disney acquisitions and even more familiar locations. It also features famous Disney characters and takes players on one of the most serious, yet lighthearted journeys, of all time. It must be noted that this is the first Kingdom Hearts game that I have ever played. This fact is emphasised further when one realises just how reliant Kingdom Hearts III is on its predecessors. To prepare for the experience, I watched two in-depth recaps of the story, and even viewed the “Story so Far” section in the Memories menu. Even with all of that, I still came away confused about story beats, certain characters and even the gameplay. Fortunately, I am a fast learner and managed to grasp what was going on sooner rather than later. 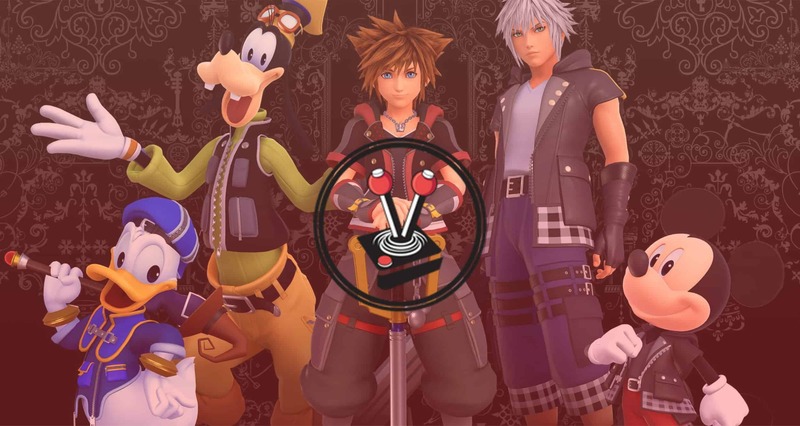 In this Vamers Kingdom Hearts III Review, I go over exactly what my experience was like. I tell you exactly why Kingdom Hearts III is still a must-have for any role-playing game (RPG) or Disney fan. I have never played a game with a story as convoluted as the one featured in Kingdom Hearts III. I am unsure whether this is deliberate (due to its legacy), or whether it is by accident. Whatever the case may be, Kingdom Hearts III requires knowledge on all previous titles, and not just the main entries. Fortunately, the game features a Memories menu where the player can view the previous “chapters” in the story. These will bring the player up to speed as to what the main premise is all about. However, for some reason, these memories omit backstories and lore about key supporting characters and the entirety of the universe. As such, I was quite confused when I booted up the game and started the story. Thankfully, two worlds in and everything started to make a bit more sense. 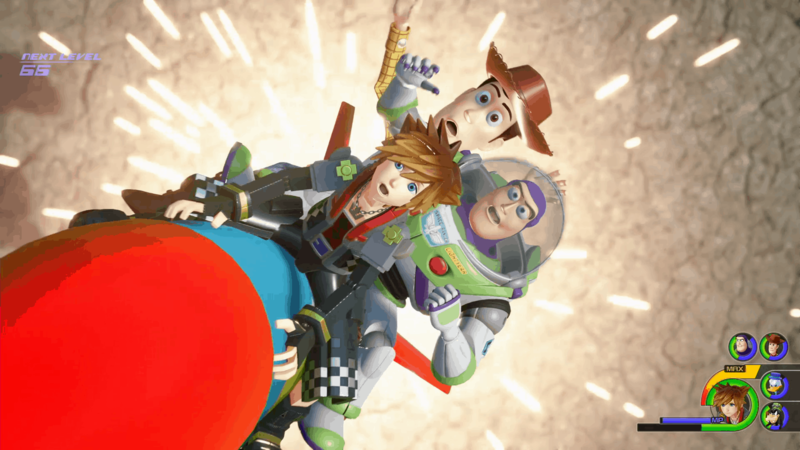 From the moment Sora and his friends end up in Ancient Greece through to when the world of Toy Story opens up to even more wonderful worlds, the story of Kingdom Hearts III slowly pieces together remnants of past games. I will not lie: I was worried that I’d be confused all the way through. Fortunately, that was not the case! While confusing at first, the game takes its time to teach you the gameplay basics; reiterate what characters think of one another, and even why some things are the way they are. Admittedly, I felt that the game took its sweet time to pick up in pacing. It starts off like a familiar Saturday morning Disney cartoon: the heroes are given a mission, but they deviate from the path in order to help a friend in need. Obviously, not all is as it seems. Bad guy shenanigans happen, the cartoon switches to some filler content, such as combat and random conversations, and the heroes save the day by figuring out how to work together. 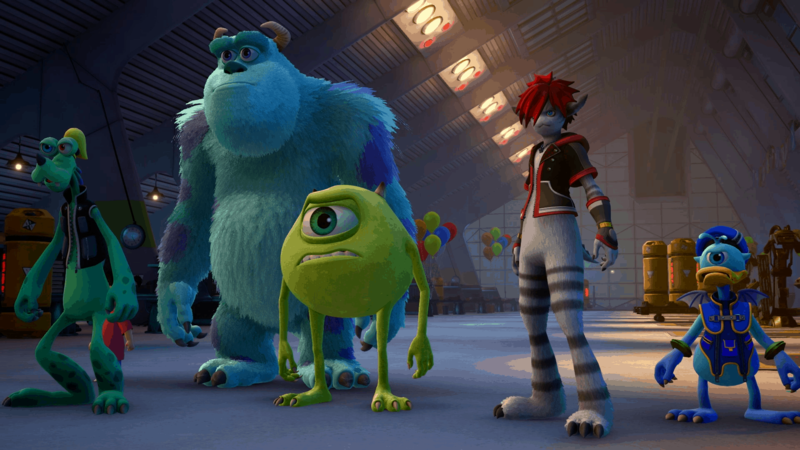 My intent is not to be demeaning about how Kingdom Hearts III goes about its business. Rather, it is a factual representation of how the game is structured. As such, the issue lies with the fact that this structure is present for every single chapter! By the time that I entered the Pirates of the Caribbean world, I thought I knew what to expect. A simple wash, rinse, and repeat, once more. 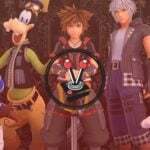 Fortunately, this is where the game decided to deliver a very heartfelt moment between Sora and his two main companions, Donald Duck and Goofy. Alas, the reprieve was short lived, as the repetitive nature of the structure appeared again in the very next world. Despite a repetitive structure, I must commend Kingdom Hearts III’s level design. These various Disney-owned worlds do matter more than you think. While the fan service is as real as it can be, the worlds are also designed to push players forward in meaningful ways. It was also interesting to see how each of the world’s serve Xehanort, the saga’s primary antagonist and villain. By the time that players enter the final few chapters, the wash, rinse and repeat nature of the previous worlds starts to make a heck of a lot more sense. 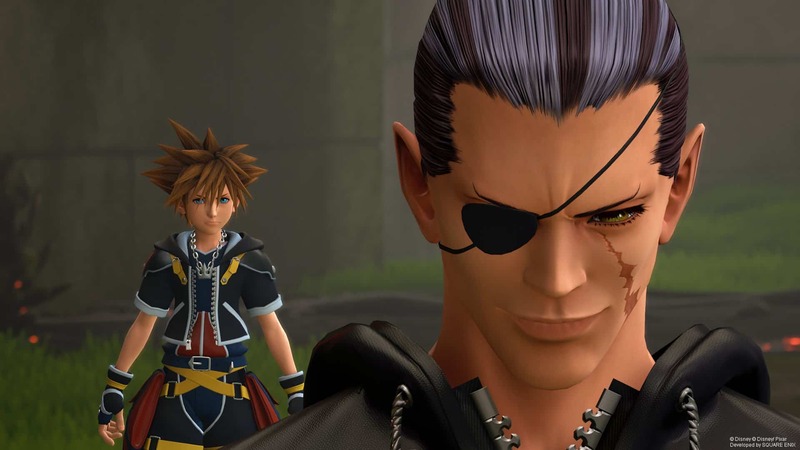 Kingdom Hearts III was years in the making, and it shows; but not in a bad way. Rather, the years it took Square Enix to work out how to best bring every single previous title together into this culmination, worked out incredibly well. Combat in Kingdom Hearts III feels as if it has been refined and perfected to make the best of what is: chaotic third-person hack-and-slash gameplay. The kind you would expect from early God of War titles. In this sense, Sora can jump and slide, and hack and slash to the player’s content. As such, Kingdom Hearts III does an incredible job of conveying a sense of power to the player. At all times, there are two things that players will always have access to: the Keyblade, Sora’s main weapon, and magic. By using the Keyblade (of which players can switch out different keyblades with the flick of a button), Sora can jump from foe to foe, hacking and slashing along the way. The game calls this “free flow”, which is just a fancy way of saying that you can press X until everything is dead. However, by jumping and latching on to pillars, players can use this form of “Flowmotion” to trigger fancy moves that do double and triple damage. 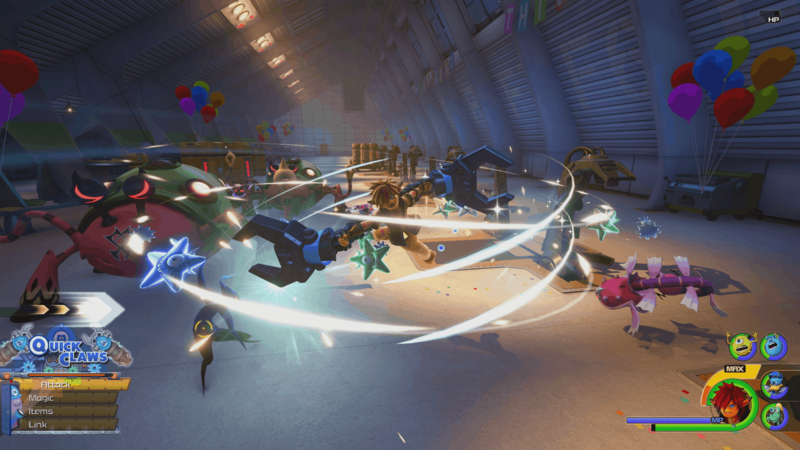 The pillar Flowmotion techniques are especially useful against groups of enemies. Another nice aspect of the combat is that it does not let the player fall into the trap of feeling too powerful or making the game feel too easy. There are always one or two mobs that will prove more challenging than the others. Alternatively, the vertical levels will create challenges for players to prioritise which enemies to focus on first. Another very satisfying part of gameplay in Kingdom Hearts III comes by way of Donald Duck and Goofy. Not only are they incredibly well written, but they also act as meaningful additions to the gameplay. Both of these characters are especially useful during combat. They hold their own against increasingly challenging enemies and will often offer prompts to Sora, which allow him to use tandem attacks that deal heavy blows and crowd control to mobs. Similarly, Donald and Goofy are just as useful out of combat. When there are areas that you cannot traverse due to hazards, Goofy can call up his shield. You can then use the shield to slide across the hazards without taking damage. Donald, on the other hand, is a magic user who always seems to have the right spell when needed. Beyond these two permanent companions, the game also features a countless number of temporary companions, such as Hercules or Buzz Lightyear. These temporary companions also hold their own in combat and offer interesting story mechanics that literally propel the story forward at times. Beyond combat and basic traversal, Kingdom Hearts III also features quite a bit of exploration and platforming. While not as confusing as some titles in this genre, I did end up getting lost more times than I would like to admit. This is due in large part to the confusing minimap. The minimap seems to show areas that are often times blocked off by debris, with no way of getting past. It will also often show areas of the map that can only be accessed from a single side. After hours of exploring areas, you cannot help but feel disappointed when the minimap lulls you toward a false positive. An experience that is far more frustrating than it should be. Despite the frustrating minimap, there is one aspect of Kingdom Hearts III that I truly love: the old-school checkpoint and save system. While this bit is as trivial as Herc’s lack of hair on his arms, I absolutely adored it. Nowadays, RPGs lets you save pretty much anywhere. Kingdom Hearts III, on the other hand, goes old school by only allowing gamers to record progress in designated save locations. In the game, they are small points dotted around areas that chime when you walk over them. Kingdom Hearts III has a solid combat system and I like how powerful the game makes you feel, while simultaneously not asking too much from the player. Get too lax, however, and the game will quickly show you who the boss really is. Couple that with a few strategically placed save locations with some fun platforming that utilises your companions, and you have a gameplay experience that is really enjoyable. The multiple worlds of Kingdom Hearts III are just as unique as the multiple brands under the Disney umbrella. While most of the worlds feature gameplay that complements the story, there are others that completely mix it up. These ‘other’ worlds offer players simpler locales that serve as “fluff” and “lore dumps”. For example, several worlds that Sora and friends visit follow the traditional Kingdom Hearts formula. Here you have to explore by doing basic platforming while you take out the usual enemies: heartless and nobodies. Then there are a few special worlds that will let you cross huge plateaus, figure out massive mazes, or even allow you to wear huge (read: small, actual toys) mech suits in order to take out enemy robots. All while looking absolutely spectacular. I particularly love how every world looks exactly how it should outside of Kingdom Hearts III’s primary universe. This means that the first world you visit, the hand drawn land that Hercules resides in, looks exactly as it would in the animated show and film. Similarly, Toy Box (the Toy Story world), features a heavy 3D rendered aesthetic with a very big emphasis on realistic-looking toys in a scaled world. 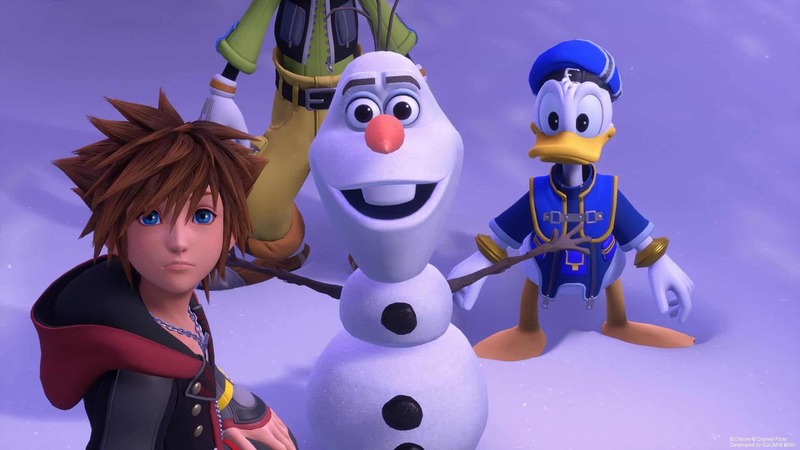 Even the Frozen world of Arendelle looks incredible (and cold) as Sora and friends made their way through a huge dungeon maze. However, there was one world in particular that blew me away: Pirates of the Caribbean. Not only is it very dark and gritty in comparison to the rest of the game, but it also looks utterly incredible. Think Space Jam levels of real-life aesthetic coupled with incredible game models and design. Gosh, I want to go back! 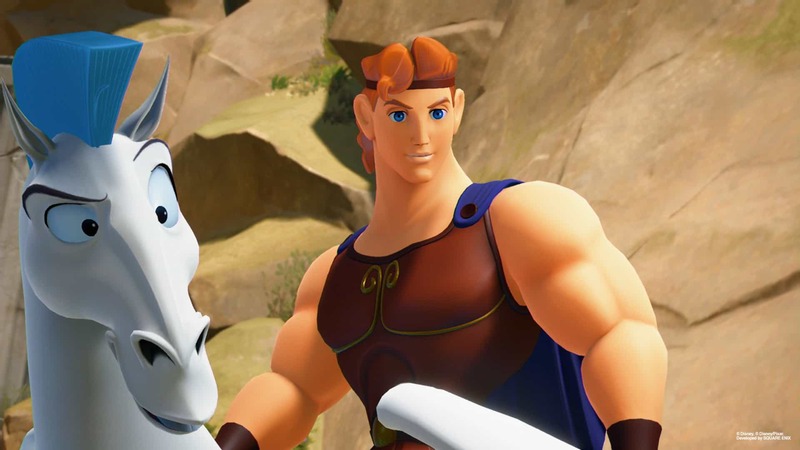 It is safe to say that Kingdom Hearts III has one of the most diverse aesthetics that I have ever seen in any game, let alone any role-playing game. Worlds look distinct and beautiful in their own rights. Characters within the worlds are believable and make sense in the grander scheme, and the flashy combat helps to immerse players fully into the entire experience. All while running at a smooth frame rate throughout. Loading times sometimes feel a bit extreme on a normal Xbox One. The nice thing is that these always come coupled with cool Instagram-like loading screens. These loading screens are of Sora posting a photo along with a cute caption and hashtag that fits the character featured in the picture. Frame rates never dropped during my time playing either, which bodes well for a huge game like this. Overall, the game’s performance is smooth and loading times, while long, never felt unnecessary. In a beautiful universe such as the one featured in Kingdom Hearts III, this could have been a huge issue, and thankfully it is not. Kingdom Hearts III is an incredible game. So many of the elements come together to bring the player constant joy, and it totally delivers on that premise. The story might be confusing at first (especially for new comers) and its reliance on knowing the narrative from all previously released Kingdom Hearts games gives it a rather large barrier for entry. Thankfully this goes away within the first few worlds, as players get used to the matters at hand. However, it is fair to say that this could have been handled better. Especially for gamers who are new to the franchise. I feel that the Memories section could have been done in a much better way. Personally, I think I would have been totally lost if I did not watch two other narrative recaps before I playing Kingdom Hearts III. That is a shame, because the game is very good. In terms of gameplay, the game is vastly superior to most RPGs I have played in recent years. I love how it feels like old school God of War while being unique and very much Kingdom Hearts at the same time. Although I may have qualms with how the minimap often functioned and with how the story began as a convoluted mess; I will be the first to admit that they are small issues when compared against the incredible experience that the game offers. Kingdom Hearts III is truly a spectacle. While not perfect, it definitely is a game that I will continue to replay as the years go by. Kingdom Hearts III is an incredible game. So many of the elements come together to bring the player constant joy, and it totally delivers on that premise. The story might be confusing at first (especially for new comers), but thankfully this goes away within the first few worlds. The game is vastly superior to most RPGs I have played in recent years and I love how the gameplay feels like an old school God of War title. 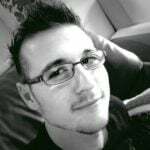 Although there are issues with the minimap and how convoluted the story is; I will be the first to admit that they are small issues when compared against the incredible experience that the game offers. Kingdom Hearts III is truly a spectacle. While not perfect, it definitely is a game that I will continue to replay for years to come.